Create or upgrade your shopping website. From one piece to an entire package including Merchant Account, Full Featured eCommerce Website Design with Shopping Cart, SSL certificate, Domain Name Registration and Business Website Hosting. 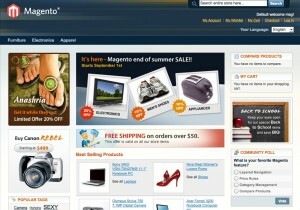 We use the Magento eCommerce open source platform. Magento powers 25% of all eCommerce websites including Nike, RosettaStone, Easton and other top Fortune 500 companies. Over $2.5 Billion in transactions are processed every year using Magento. Want to see a demo? Click here for a demo website from the customer’s view. Need to check out the administrative back end? We’ll send you a username and password. Just send us a request in the form to your right.